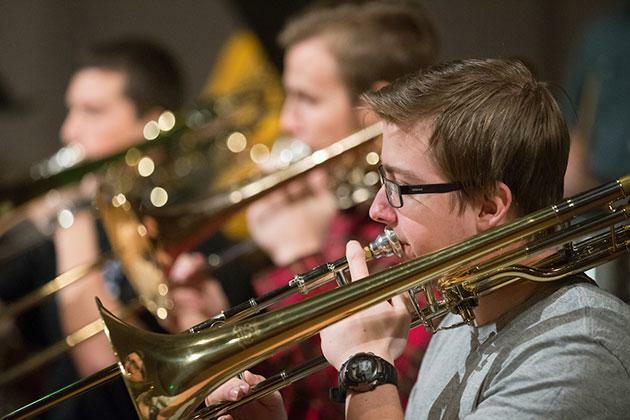 Students studying in the Brass area have many opportunities to participate in School of Music ensembles, such as Jazz Ensembles, Bands, Orchestra, and more. 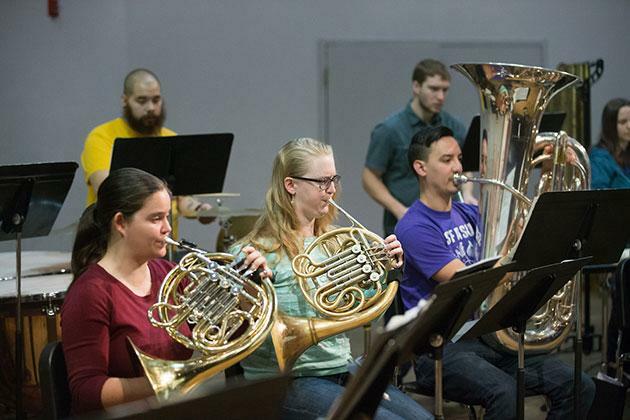 The School of Music has private studios for the instruction of trumpet, trombone, horn, tuba, and euphonium. Students in any of our degree programs can pursue private applied study in one of these studios. Brass students have the opportunity to play in Wind Ensemble and University Symphony Orchestra. 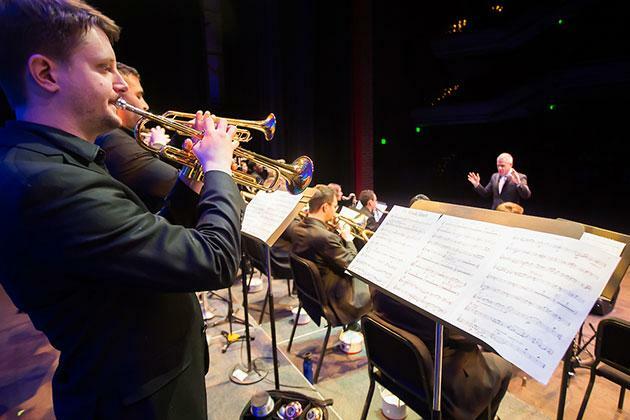 UNC's top jazz ensembles are available to brass students by audition.